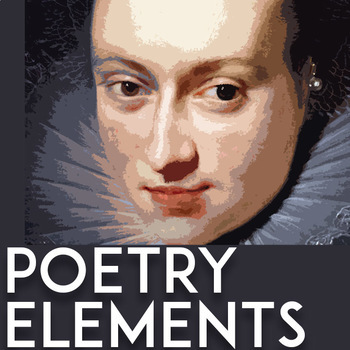 Need complete, engaging, no-prep lesson plans on poetry terms? 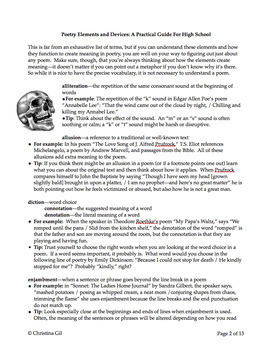 Covering everything from allusion to syntax, these complete lesson plans will empower your students to understand the elements of poetry and how they function to create meaning in a poem or other literary text. 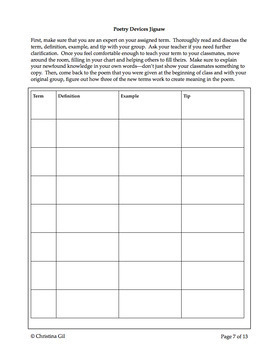 The handouts and cooperative activities here will be the backbone of your poetry unit. This is a great tool to prepare students for new common core and SAT writing where they are required to do more than just identify elements of literature. 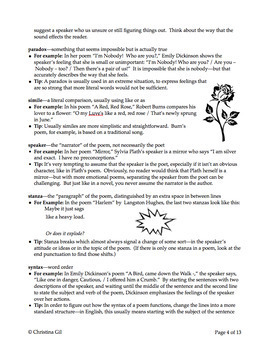 Introduce a poetry unit or a single poem with this list, or use it for your own reference. The explanations and tips are practical, useful, and have been proven to strengthen students’ understanding of poetry. I’ve honed and developed the explanations during sixteen years of teaching poetry at every level, from remedial to Advanced Placement Literature, and I know that they will get results. “THIS IS AWESOME! It is such a challenge to get students to move from identifying an element to being able to explain what that element is doing. Your product is exactly what I needed to help students do exactly that!" --Hope S.
"This was exactly what I wanted to do to teach these elements before I came across this product, you saved me a ton of time! Everything is done as I would have done it, Thank You!" --Ashley G.